“Launching BepiColombo is a huge milestone for ESA and JAXA, and there will be many great successes to come,” says Jan Wörner, ESA Director General. 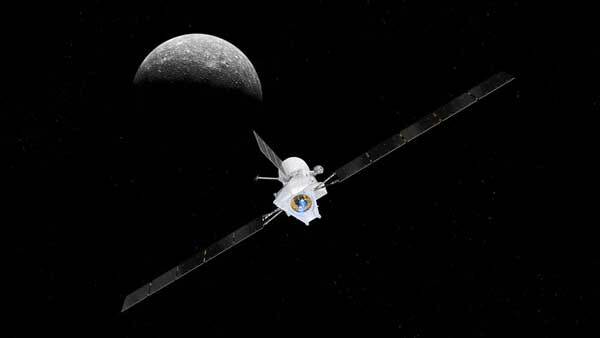 “There is a long and exciting road ahead of us before BepiColombo starts collecting data for the science community,” says Günther Hasinger, ESA Director of Science. “BepiColombo is one of the most complex interplanetary missions we have ever flown,” says Andrea Accomazzo, ESA Flight Director for BepiColombo. Other challenges include the extreme temperature environment the spacecraft will endure, which will range from -180ºC to over 450ºC – hotter than a pizza oven. 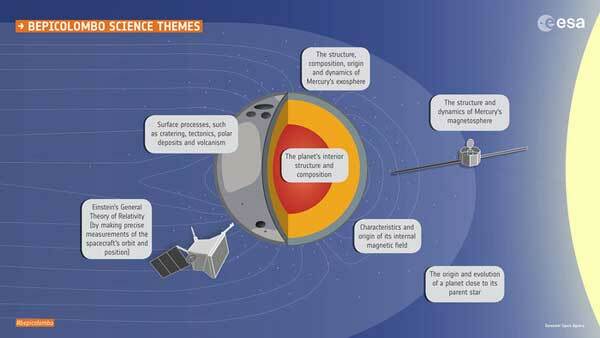 Many of the spacecraft mechanisms and outer coatings had not previously been tested in such conditions. 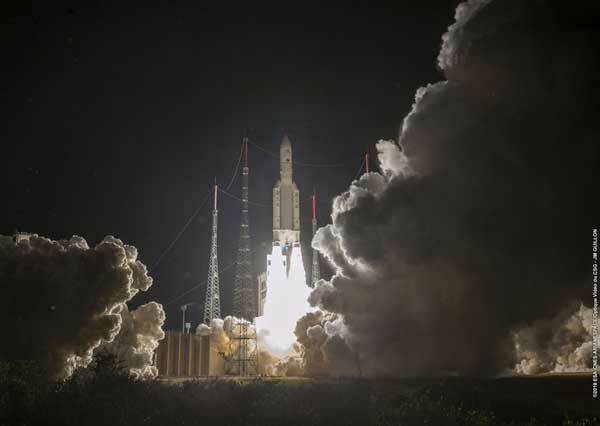 “Seeing our spacecraft blast off into space is a moment we have all been waiting for,” says Ulrich Reininghaus, ESA’s BepiColombo project manager. 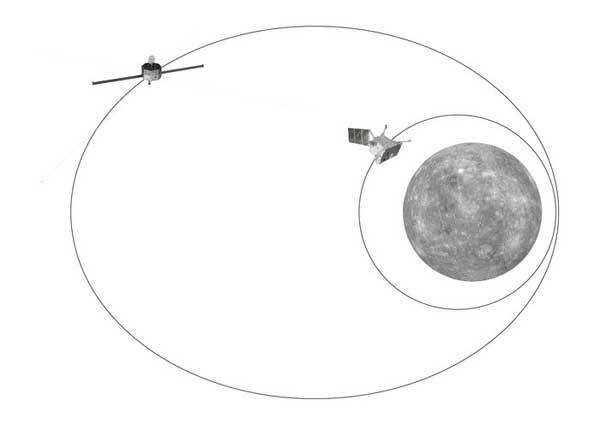 “A unique aspect of this mission is having two spacecraft monitoring the planet from two different locations at the same time: this is really key to understanding processes linked to the impact of the solar wind on Mercury’s surface and its magnetic environment,” adds ESA’s BepiColombo project scientist Johannes Benkhoff. One of the most interesting missions of the decade, applause to ESA and JAXA. Would be great if agencies reduced wasting money (with SLS elephants in the room) and gave us more science. Now I cannot wait for next announcements, especially ESA’s.